The three persons of the God head; Father, Son and Holy Spirit, are of the very same essence. They are of the same kind. All three are consistent in all they do and all they say. Jesus said he speaks only what the Father tells Him. The Holy Spirit does nothing outside the will of the Father and the Son. 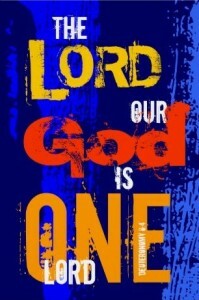 It is the essential oneness, likeness, that retains the idea of “one” God, yet revealed to us in three persons. When Paul closes his second letter to the Corinthians he does so with a blessing from this consistent, triune God. He says, “The grace of the Lord Jesus Christ and the love of God and the fellowship of the Holy Spirit be with you all” (2 Corinthians 13:14).